It’s still fairly early in the Winnipeg Goldeyes’ season, but the team already sits at a 5-2 record since the opening pitch a week ago today. The Fish put away the Joliet JackHammers Wednesday night at the ballpark in a 6-1 win in front of 4,634 fans. After right fielder Kevin West doubled-in designated hitter Juan Diaz in the first inning, Winnipeg exploded for four runs in the second inning. Winnipeg has won the last two of its four games against Joliet and will hope to make it three in a row later this morning. The Goldeyes face off against the JackHammers at an 11 a.m. game before heading on the road to Illinois to face the Rockford RiverHawks in a three-game set beginning Friday. 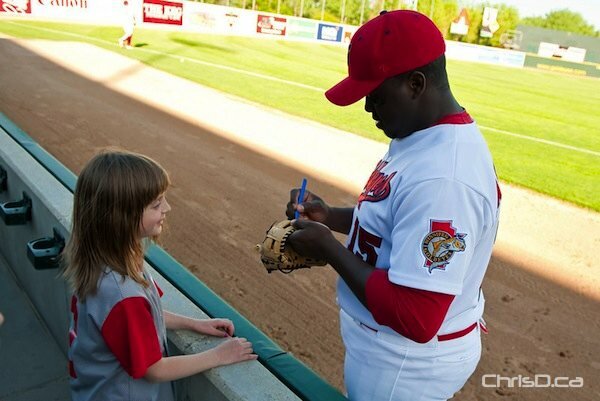 The next home game at Canwest Park is Friday, June 4 when the Goldeyes host the Schaumburg Flyers.